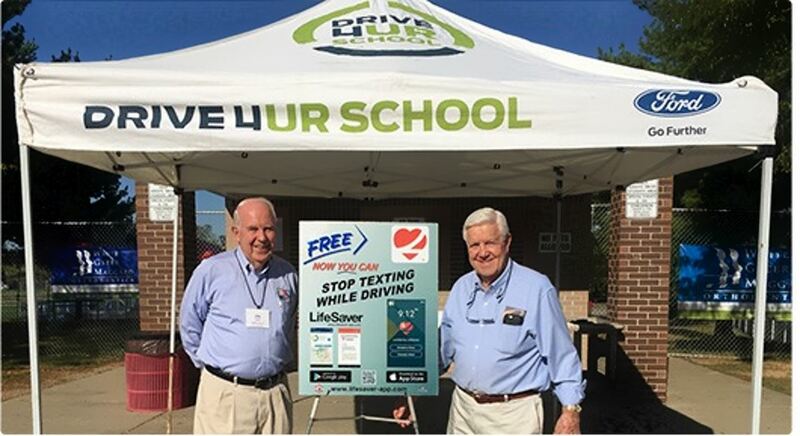 Since 2011, Jack Kain Ford, in Versailles, KY, has hosted 12 Drive 4 UR School events benefiting various local high schools; however, this year, the dealership worked with a new high school to benefit a program called Leaders in the Making, which had the dealership doing more than just offering test-drives. Leaders in the Making helps high school students utilize their full potential by assisting them with college applications, providing them with job-shadowing opportunities and working with them to assess their career and educational opportunities after high school. "Leaders in the Making is something that I was brand-new to, and it's a really cool concept. It's really neat what they do with the students and how they open their minds up as to what they could possibly accomplish after high school," said Lee Griffith, title clerk at Jack Kain Ford. It's with this energy that Jack Kain Ford decided to do something beyond raising funds for Leaders in the Making through the Drive 4 UR School program and become a resource by offering students the opportunity to job-shadow at the dealership. "The students can talk to the people in the different departments to understand how they got to where they are and what they are doing, their certifications and training and education. So that is a relationship that will develop out of this Drive 4 UR School event," Griffith said. It's with this relationship-building that dealers like Jack Kain Ford find an even greater benefit of the Drive 4 UR School program. As General Manager Bob Kain explained, "It's more than a one-day deal where you go out and you drive the vehicles. This really opened up the doors between us and this particular school because we didn't have a relationship with them before, and now it's fostered into a really nice relationship."